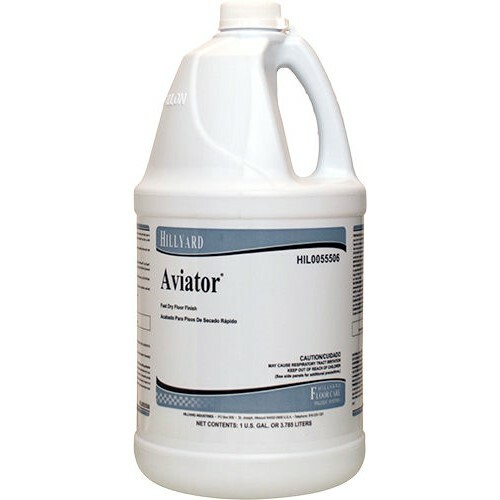 Aviator is a fast drying, 20% solids floor finish from Hillyard that offers superior gloss, excellent durability and excellent water resistance. Drying in 15 minutes per coat (75% humidity, 60?? F), Aviator dries in half the time of most traditional floor finishes. It's ideal for facilities that require quick turn-around or that operate 24/7. And, it's ideal for any facility manager who's interested in doing more by saving time on re-finishing floors.